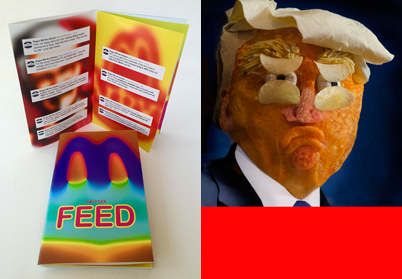 • accompanied by a 2 sided 4 x 6" postcard featuring Donald Trump made of junk food with ingredients list printed on back. • packaged together in a Cheetoh colored envelope. 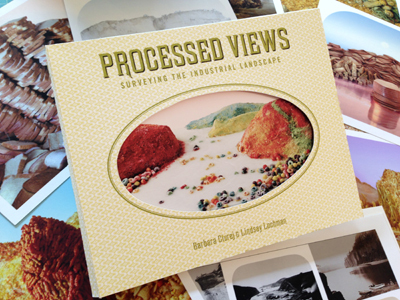 In the collections of Western Americana at the Beinecke Library Yale University; Indie PhotoBook Library; Golda Meir Library/University of Wisconsin; Hellenic Centre for Photography, Athens, Greece; Phoenix Art Musuem; Joan Flasch Artists Book Collection. 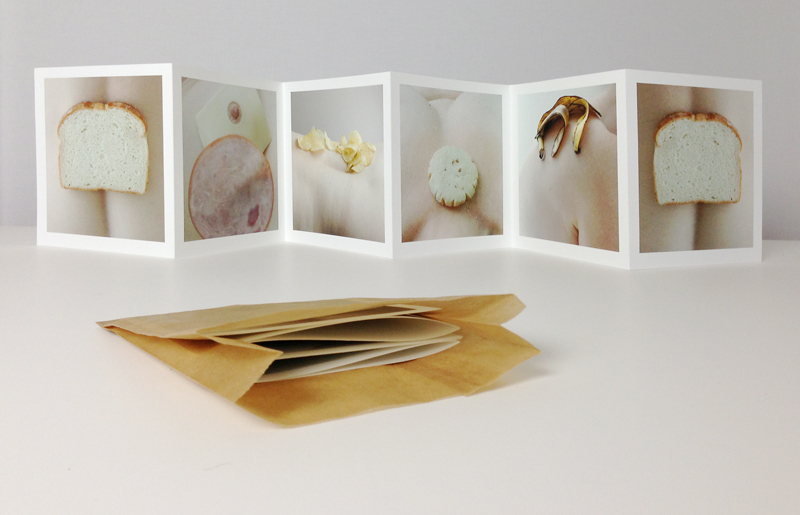 An accordian fold book housed in a wax paper lunch bag. 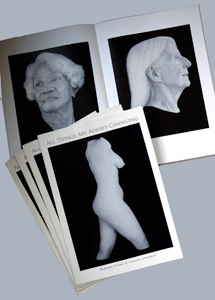 A 72 page monograph containing images from the five- part series All Things Are Always Changing, a meditation on time, beauty and change. 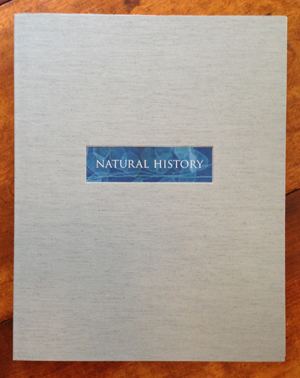 Evoking an herbarium, the Natural History portfolio is a collection of 12 unique cyanotypes over digital prints in a custom made portfolio case. 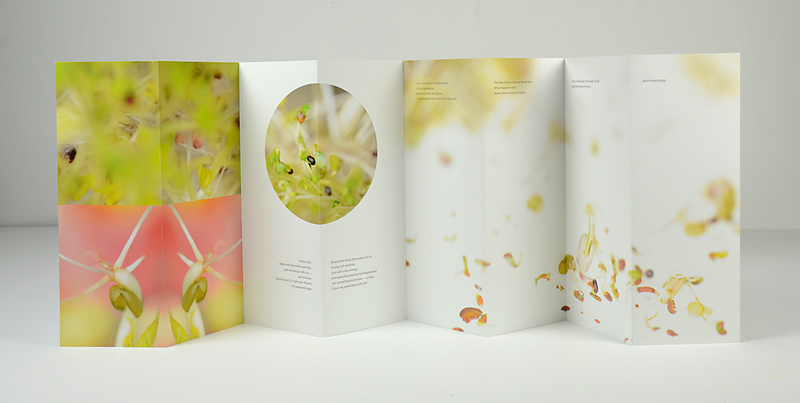 Each portrait is housed in a slipsheet printed with taxonomic notes. 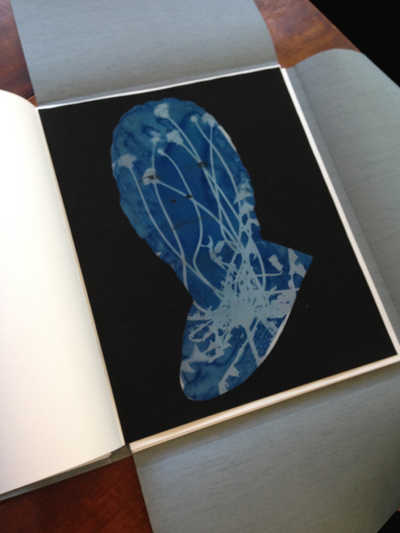 Portfolio I is in the collection of the Yale Center for British Art. 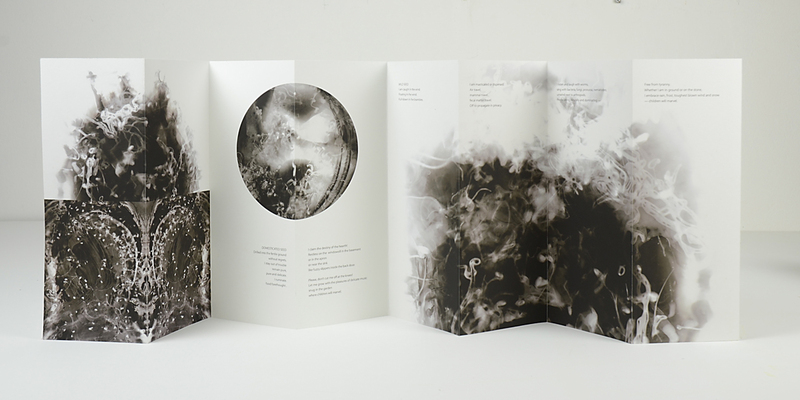 A limited edition artists' book. In the collection of the Yale Center for British Art. 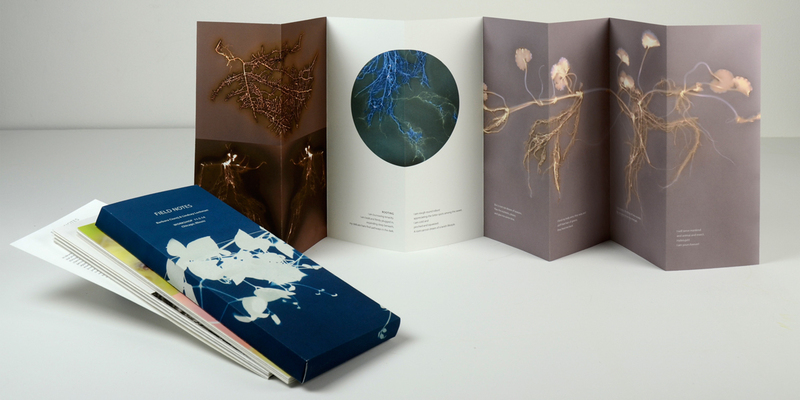 The catalog version of the artists' book of collected writings from a botanically themed workshop hosted in conjunction with the exhibition The Nature of a Collective. 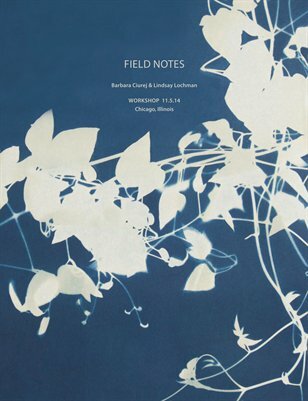 Led by writer Anja Notanja Sieger, participants considered the process of regeneration and elaborated upon the forces found within the plant world in a series of quick, collaborative writing exercises. 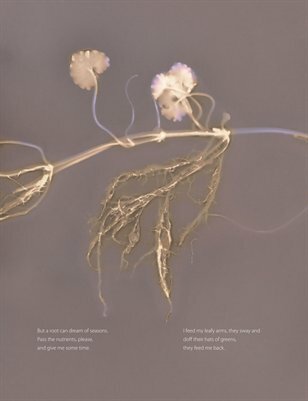 We framed the texts with photographic images made in response. The book records an exercise in regeneration, connecting the many paths of how we come to know.